All Change at Edwin Street! There are exciting changes afoot at Amble First School this summer! 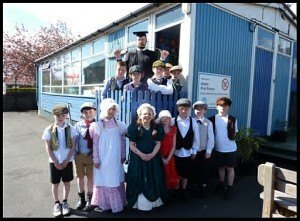 The old wooden mobile classroom, which many Amble residents will have spent time in, is being replaced with a modern, double classroom at the start of the summer holidays, to provide additional teaching space and a more comfortable environment. We plan to have a celebration of all the good times we have had in this old building, by covering it with memories from pupils past and present. 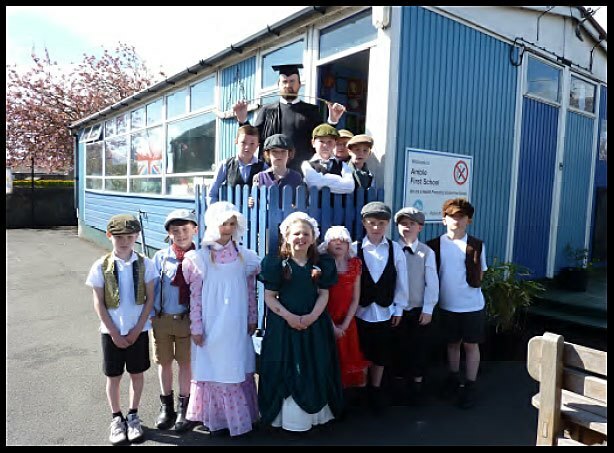 If any Ambler readers would like to contribute their thoughts of past years in the mobile classroom, in written words or pictures, we would be delighted to include them in our event – please just send them to the school. We will let you know more details if you would like to include your name and address. As a result of all this, we are able to convert one of our classrooms in the main building, ready for the opening of our nursery class in September – complete with new toilet facilities and a lovely outdoor play area for the youngest children.